Outgoing IAF chief Arup Raha on Wednesday made it clear that just 36 Rafale fighter jets would not suffice as India needs about 200-250 more fighters to maintain its combat edge over adversaries. The Air Chief Marshal, who is set to retire on December 31, also rued that the tender for the much needed “force multiplier” mid air refuellers had to be withdrawn. He said a fresh tender is in the offing and the procurement will be speeded up. Underlining that the teeth of any air force is the combat fleet, Raha said that the country needs another production line besides the Tejas. He explained that the strength sanctioned by the government is 42 squadrons “which was a numerical value. He said what is needed “is also a capability mix”. Raha said India has enough of heavy weight fighters – the Su30 MKI – which will last for another 30-40 years. He said the light weight spectrum would be served by the 123 Tejas light combat aircraft ordered by the IAF. 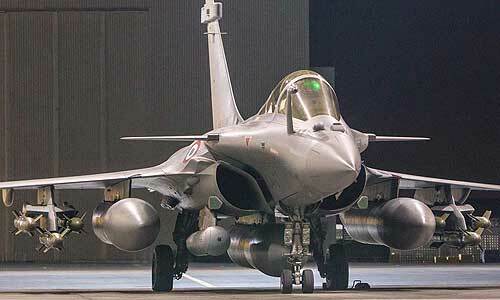 Terming Rafale as an excellent aircraft, Raha said it comes in the medium weight spectrum. “It is tremendously capable in all its role. It is a multi-role aircraft and can be used very effectively. It can prove its worth in any situation,” Raha said. “But we have just ordered 36 aircraft and we require more aircraft in this middle weight category to give entire spectrum of capability,” he said. Raha said a void has been created in the past because of obsolescence and many of the squadrons will be past their use-by date. “We have already used them for four decades plus. It is time to retire them and get new aircraft,” he said adding thi void has to be filled up quickly and 36 Rafale aircraft “will not do as we require much more”. “Over the next 10 years, we must have 200-250 aircraft. It has to be balanced out. In the heavy weight spectrum, we have enough. But in the medium weight category, we need to have more. Yes, about 200 will be very good,” he said. India and France finally signed the Rafale deal on September 23 this year, over a year after Prime Minister Narendra Modi announced the deal during his Paris visit in April 2015. The planes, equipped with latest weapons and tailored for Indian needs, will be delivered to the IAF between September 2019 and April 2022. The IAF currently has 33 fighter squadrons, against the sanctioned 42. Raha also rued that IAF’s Russian-origin Ilyushin-78 tanker fleet was plagued by maintenance problems and more midair refuellers were a “strategic requirement” to extend the range of fighter planes. IL-78 fleet had served the IAF well but its availability for missions has been less due to maintenance problems. India floated a global tender for six midair refuellers in 2007 but it has been scrapped twice in the final stages. “Sadly, there have been some problem areas in the acquisition. A new tender will be out soon,” Raha said. The air chief said the terrorist attack on the Pathankot air base and the An-32 crash in which 29 people were killed were “the worst memories of my career”. “We have flown in the fighter fleet 40,000 hrs, more than last 10 years due to better serviceability. We have done an average night flying of 27 per cent which was less earlier,” he said speaking about the achievements under his tenure.